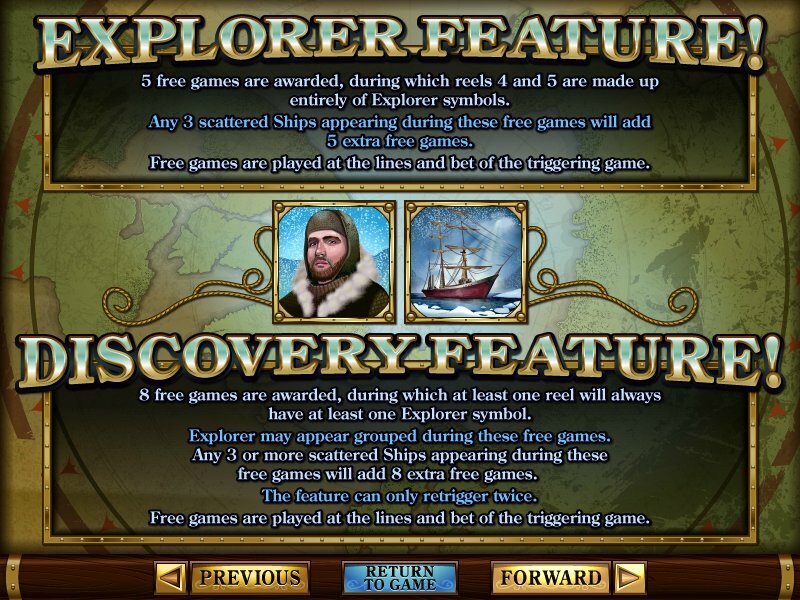 Overview: Adventure to the farthest reaches of the earth with Polar Explorer, the gorgeous new 5 reel slot from Real Time Gaming. 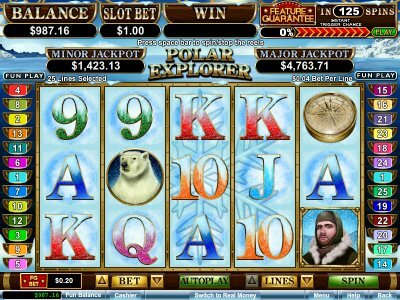 Exotic arctic animals populate the frozen environment and the reels sparkle with ice as the visually impressive game takes you on a journey into the wilderness. 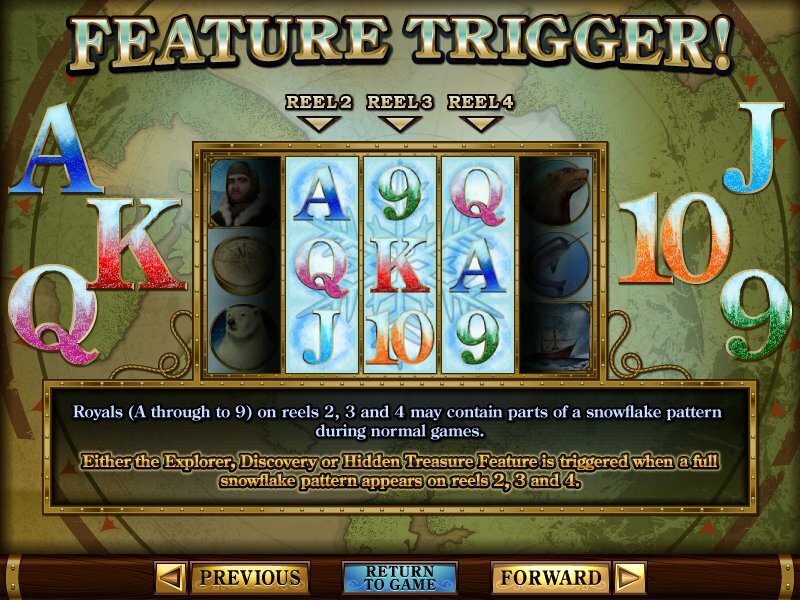 Trigger one of the 3 features by spinning up a snowflake pattern which is etched into some of the symbols that appear on the middle reels. 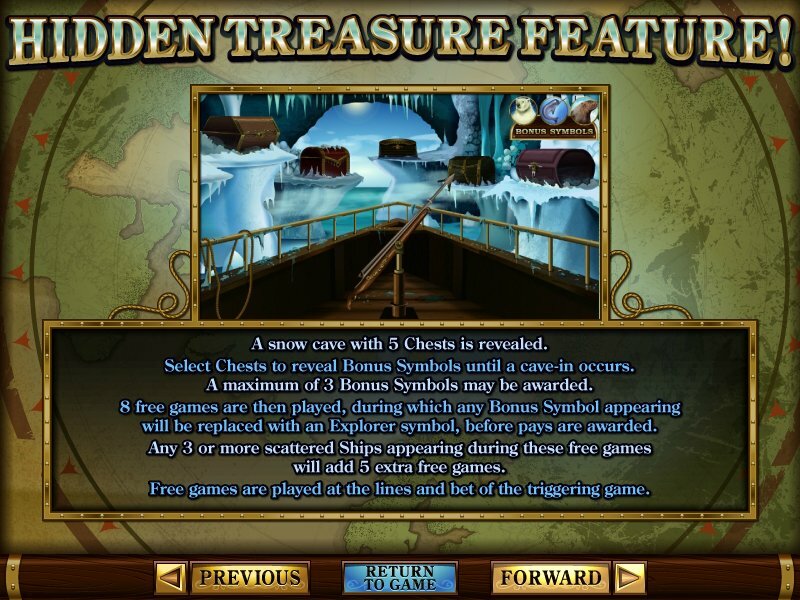 The Hidden Treasure bonus game is set inside an icy cave brimming with extra free game Wilds, while the Explorer feature awards 5 free games, during which reels 4 and 5 are made up entirely of Wilds! 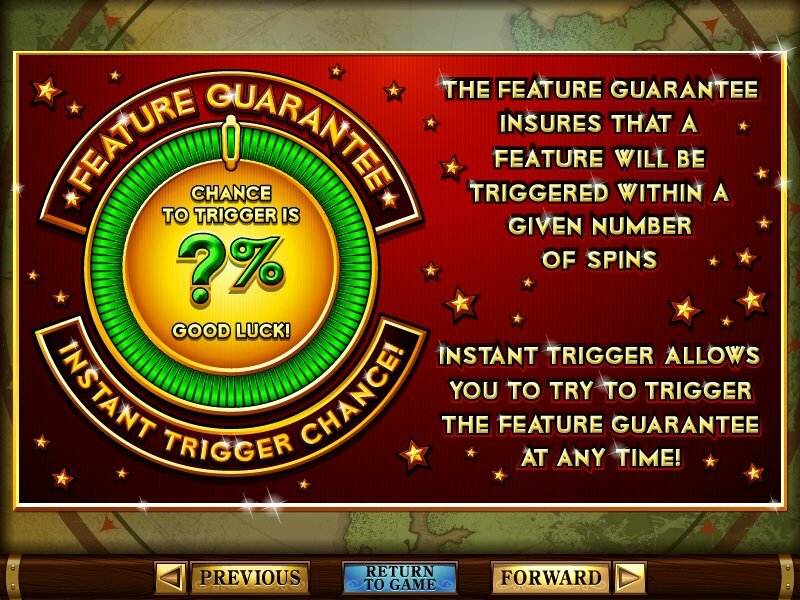 The Discovery Feature awards 8 free spins, during which at least one reel will always have at least one Wild and a chance for grouped Wilds to appear! 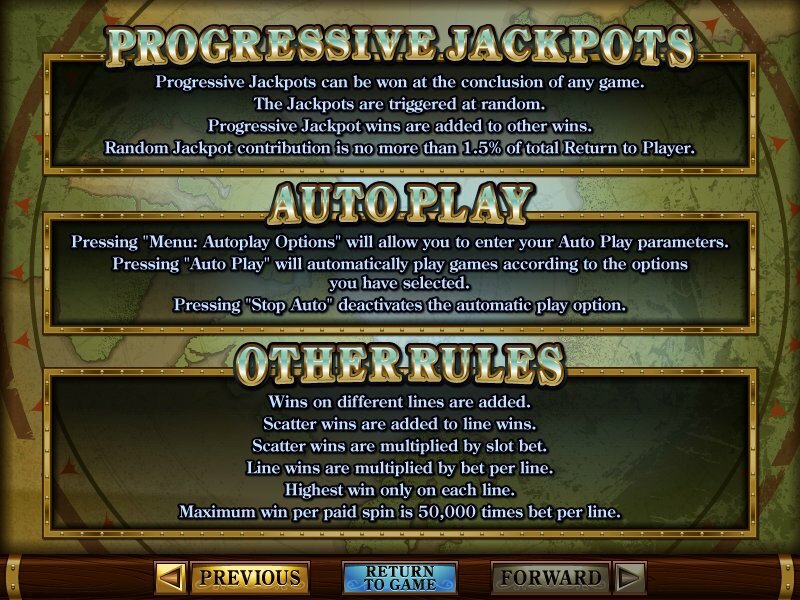 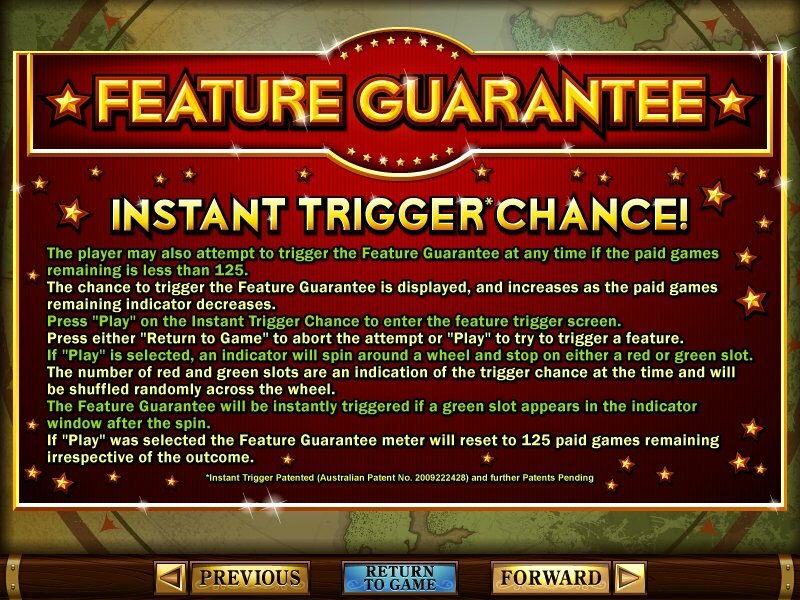 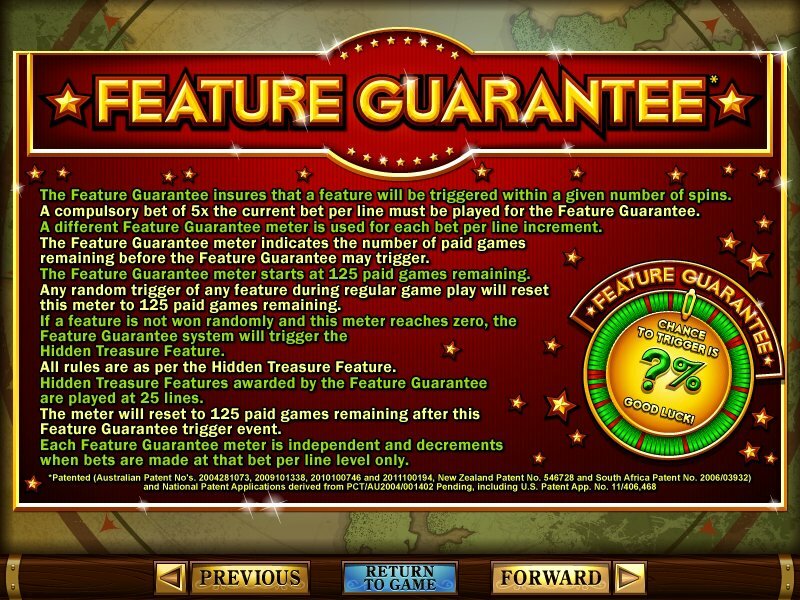 The fantastic Feature Guarantee system within the game also insures that a feature will be triggered within 125 paid spins, if not won randomly. 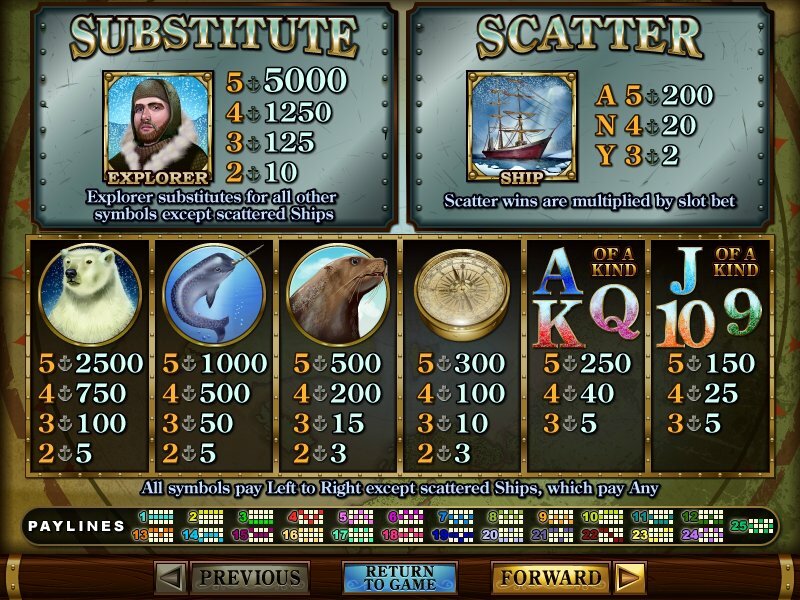 Similar Slots: If you like Polar Explorer, you might like these other slot machines from RTG: Happy Golden Ox of Happiness, Mystic Dragon, Rain Dance, Sunken Treasure, The Elf Wars, Triple Twister.